You must be a member of the Salzburg FoodieNations Group to attend this activity. Would you like to join this group? 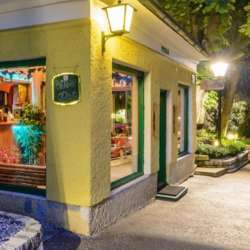 Hidden in one of the smallest houses of Salzburg, this pizzeria serves in a relaxed atmosphere delicious pizzas for democratic prices. The chef makes your pizza the way you want it with passion and devotion. As I can no longer make it tonight, Miguel has kindly stepped in and will be your host this evening! Looking forward to meeting you and toast on the New Year!